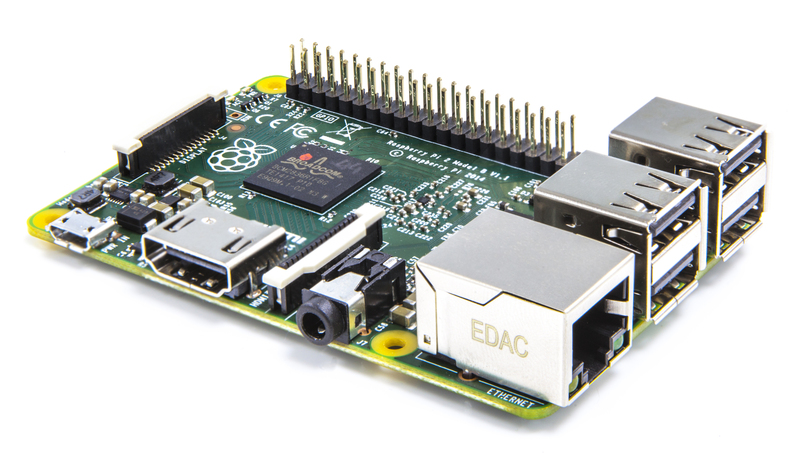 Since we launched the original Raspberry Pi Model B, back in 2012, we’ve done an enormous amount of software work to get the best out of our Broadcom BCM2835 application processor and its 700MHz ARM11 CPU. We’ve spent a lot of money on optimising a wide variety of open-source libraries and applications, including WebKit, LibreOffice, Scratch, Pixman, XBMC/Kodi, libav and PyPy. At the same time, the Raspbian project, run by Peter Green and Mike Thompson, has provided us with an ARMv6-compatible rebuild of Debian with hardware floating point support, and Gordon, Dom and Jonathan have spent thousands of hours working on the firmware and board support to make Raspberry Pi the most stable single board computer in the world. It’s worth going back and trying out an old SD card image from 2012 to get an idea of how far we’ve come. Nonetheless, there comes a point when there’s no substitute for more memory and CPU performance. Our challenge was to figure out how to get this without throwing away our investment in the platform or spoiling all those projects and tutorials which rely on the precise details of the Raspberry Pi hardware. Fortunately for us, Broadcom were willing to step up with a new SoC, BCM2836. This retains all the features of BCM2835, but replaces the single 700MHz ARM11 with a 900MHz quad-core ARM Cortex-A7 complex: everything else remains the same, so there is no painful transition or reduction in stability. Once we were confident that BCM2836 was performing as expected, James designed a series of prototypes, before we settled on the Raspberry Pi 2 Model B that launches today. This has an identical form-factor to the existing Raspberry Pi 1 Model B+, but manages to pack in both the new BCM2836 and a full 1GB of SDRAM from our friends at Micron. All of the connectors are in the same place and have the same functionality, and the board can still be run from a 5V micro-USB power adapter. Raspberry Pi 2 is available to buy today from our eshop. Remember you’ll need an updated NOOBS or Raspbian image including an ARMv7 kernel and modules from our downloads page. At launch, we are using the same ARMv6 Raspbian userland on both Raspberry Pi 1 and 2; over the next few months we will investigate whether we can obtain higher performance from regular ARMv7 Debian, or whether we can selectively replace a small number of libraries to get the best of both worlds. Now that we’re using an ARMv7 core, we can also run Ubuntu: a Snappy Ubuntu Core image is available now and a package for NOOBS will be available in the next couple of weeks. Visit WindowsOnDevices.com today to join the Windows Developer Program for IoT and receive updates as they become available. Are you discontinuing the Raspberry Pi 1 Model B and B+? No. We have a lot of industrial customers who will want to stick with Raspberry Pi 1 for the time being. We’ll keep building Raspberry Pi 1 Model B and Model B+ as long as there’s demand for it. Both these boards will continue to sell for $35. Model A+ continues to be the $20 entry-level Raspberry Pi for the time being. Although the new board is called Raspberry Pi 2 Model B, we have no plans to introduce a Raspberry Pi 2 Model A before the end of 2015. We expect to introduce a BCM2836-based Compute Module in the medium term, but for now we’re focused on getting Raspberry Pi 2 Model B out of the door. Yes. VideoCore IV 3d is the only publicly documented 3d graphics core for ARM-based SoCs, and we want to make Raspberry Pi more open over time, not less. Where does the “6x performance” figure come from? The speedup varies between applications. We’ve seen single-threaded CPU benchmarks that speed up by as little as 1.5x, while Sunspider is around 4x faster, and NEON-enabled multicore video codecs can be over 20x faster. 6x is a typical figure for a multi-threaded CPU benchmark like SysBench. Is this a full version of Windows 10?